Combine first 5 ingredients in a bowl and whisk in oil. Season with salt and pepper then mix in onion and leave to marinate for 15 minutes. Form a bowl with little gem lettuce on a plate and add any other salad leaves you have. 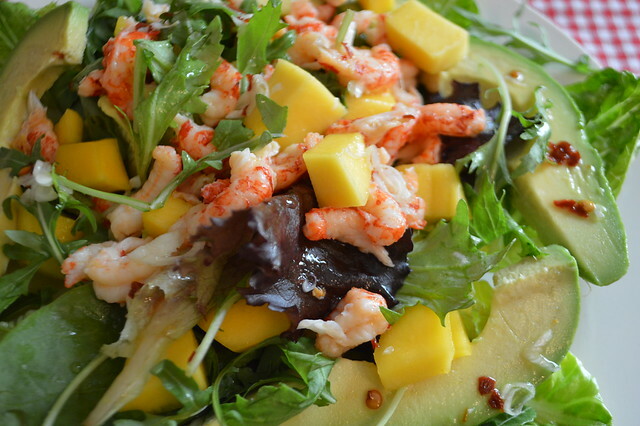 Place avocado, mango and crayfish on top and drizzle over the dressing. Copyright @ 2018 - Australian Coast Radio Monitors WA Inc.